Jyrki Katainen is Vice President of the European Commission responsible for Jobs, Growth, Investment and Competitiveness. Prior to this term, he was European Commission Vice-President for Economic and Monetary Affairs and the euro from July to October 2014. Before that he served as Prime Minister of Finland (2011– 2014) and Minister of Finance (2007 – 2011). He was Member of Finnish Parliament (1999 – 2014) for the National Coalition Party (Kokoomus). Jyrki Katainen is Vice-President of the European People's Party (2006-2011, 2015-) and he was Chairman of the National Coalition Party of Finland from 2004 to 2014. He was Member of the Finnish Delegation to the OSCE Parliamentary Assembly 2003 - 2007, Member of the Administrative Council of the Finnish Broadcasting Company 2003 - 2005, Member of the Finish Delegation to the Western European Union Parliamentary Assembly 2004 - 2005 and the Deputy Member of the Finnish Delegation to the Nordic Council 2001 -2003. Ambassador Hyoung‐zhin KIM is Ambassador to the Kingdom of Belgium and Head of the Mission of the Republic of Korea to the EU. He holds a Bachelor degree in Economics (Seoul National University) and a Master in Public Affairs (Princeton University). Ambassador Kim also acted as a Visiting Fellow at the University of Tokyo (Japan) in 2012. He started his diplomatic career in 1984 and held consecutive posts at the Korean Embassies in the United States of America and Ghana, and later on in the People's Republic of China. Throughout his career Mr. Kim occupied various diplomatic posts, among which those of Minister‐Counsellor at the Korean Embassy in the United States of America; Advisor to the Minister of Foreign Affairs and Trade; Director General for North American affairs; Secretary to the President for Foreign Affairs and Deputy Minister for Political Affairs at the Ministry of Foreign Affairs. He has been serving in his current position since the end of January 2017. The Ambassador holds the title of Lieutenant of the Royal Victorian Order (UK). As Director General of BEUC, Monique represents 43 independent national consumer associations in 31 European countries, acting as a strong consumer voice in Brussels, ensuring that consumer interests are given weight in the development of policies and raising the visibility and effectiveness of the consumer movement through lobbying EU institutions and media contacts. As a consumer expert and advocate, and on behalf of BEUC, she is currently member of the EU High Level Forum for a Better Functioning Food Supply Chain and a delegate in the Consultative Commission on Industrial Change of the European Economic and Social Committee. She is an effective member of the Euro Retail Payments Board. She has also been appointed to the expert group on “fake news” (2018) and in the expert group on “trade agreements” (2018-2019). She is member of the Advisory Group of Transparency International EU and of the European Advisory Board of the Open Society Foundations. In her capacity as BEUC Director General, Monique is currently EU co-chair of the Transatlantic Consumer Dialogue (TACD) a network of EU and US consumer organisations, and she also represents BEUC at Consumers International, the international consumer organisation. Apart from championing consumer’ rights, Monique’s passions/challenges are her family, cooking for friends and long walks with her golden retriever. Pearse O'Donohue is Director for the Future Networks Directorate of DG CONNECT at the European Commission, dealing with policy development and research supporting the Digital Single Market as regards 5G networks, IoT, cloud and data flows and conceptualising new and innovative approaches towards service platforms and next generation Internet. Before becoming Director, Pearse was Head of the Cloud and Software Unit in DG CONNECT, dealing with the strategic development and implementation of policy on cloud computing and software. Until October 2014, Pearse was Deputy Head of Cabinet of Vice-President Neelie Kroes, previous European Commissioner for the Digital Agenda. He was responsible for advising the Vice-President on the development and implementation of policy on electronic communications, networks and services, as well as broadband, spectrum and other related policies such as Internet governance. Before that, Pearse was Head of the Radio Spectrum Policy Unit in the European Commission, DG CONNECT. Prior to joining the European Commission, Pearse held posts in the Irish Department of Foreign Affairs, the Permanent Representation of Ireland to the EU in Brussels, and as Assistant Director of the Brussels office of the Irish Business & Employers' Confederation. Katerina Megas is the Commercial Adoption Lead for the Trusted Identities Group and Program Manager for the Cybersecurity for Internet of Things (IoT) program. She has her undergraduate degree in Business Administration with a minor in Marketing and M.S. Information Systems and has over 25 years of experience leading organizations' development and execution of marketing strategies, and deployment of solutions in telecommunications, ERP and IAM (identity and access management) technologies. Frédéric Donck is the Director of the Internet Society’s European Regional Bureau, which has been created in January 2010. The European Regional Bureau promotes ISOC strategy and mission at European level and is the focal point for ISOC activities, strategic initiatives and programmes in the region related to education and capacity building, membership, public policy and standards and technology. Frédéric has in-depth experience as a negotiator and advocate in the telecommunications and Internet industry, in both the public and private sectors. During 10 years within the European Commission (DG INFSO and DG Enterprise), Frédéric developed and advocated for numerous European policies and decisions in the convergent e-communications sector. Prior to joining ISOC, Frédéric was an adviser to corporate executives and boards in the telecommunications sector. He has designed overall public and institutional policy as well as corporate reputation campaigns for major listed companies, including several of the world’s largest electronic communications companies. A former Head of European regulatory affairs for Belgacom Group, Frédéric also worked for five years as a Member of the Executive Board of the European Association of Telecom Operators (ETNO). Frédéric holds a LLD (Law Degree), from the Catholic University of Louvain-La-Neuve (UCL) as well as a Masters in European Law (LLM) from the State University of Ghent (Gand), in Belgium. Head of Unit 'Cybersecurity and Digital Privacy' within the European Commission in Brussels (Directorate-General Communication Networks, Content and Technology). Among others involved in the negotiations of the recently adopted Network and Information Security (NIS) directive, the implementation of the EU cyber-security strategy's actions on resilience, industrial measures and Research and Innovation under H2020, and cooperation with the EU Agency for Network and Information Security (ENISA). He also directly contributed to the production of the new EU Cyber Security Strategy. Previously Head of Unit 'Organised Crime and Relations with EMCDDA' at the European Commission (Directorate-General Home Affairs), which has the lead responsibility for the fight against cybercrime, corruption, sexual abuse of children and confiscation of criminal assets. In relation to cybercrime, involved in negotiation and drafting of two directives (on cyber-attacks and sexual exploitation of children), establishment of the European Cybercrime Centre (EC3) and drafting of the EU Cyber Security Strategy. Previously worked on EU relations with Russia (Directorate-General External Relations). Before joining the European Commission, a Director at the Stefan Batory Foundation in Warsaw and Policy Officer with the United Nations High Commissioner for Refugees. Graduate of the London School of Economics and the University of Warsaw (international relations, law). Stephen is responsible for ARM’s Public Affairs, including contributions to public policy thinking across the world. His focus is London, Brussels, Washington and, increasingly, China. He was the first person to be appointed to a Public Affairs role at ARM, in 2012. Key issues on which he is working include Internet of Things, Smart Cities, Data Protection, Energy Efficiency, and Security. Stephen also oversees ARM’s Corporate Responsibility Programme. Prior to joining ARM, Stephen was CEO, International Chamber of Commerce UK, where he represented the interests of a range of companies and focussed on various policy and international trade issues. He also worked for James Dyson as Head, International Business Development, where he introduced new products into new markets as well as accelerating growth in existing markets. He was once a British Diplomat, and worked at the British Embassy in Washington, and on UN issues in London, New York and Geneva. Stephen has a Masters Degree from Cambridge University, and a Doctorate from Oxford. In 2003-4 he spent a year at Harvard as Fellow in International Affairs at the Weatherhead Center. The unit is the centre of competence for IoT, responsible for policy, research, take up of IoT and new business models, ensuring the competitiveness of the European industry to lead. Aim is to advance strategic and policy issues around IoT in the context of the DSM, including IoT liability, a Trusted IoT label, IoT platforms, IoT standardisation. The unit fosters the development of IoT innovation ecosystems and promotes global cooperation; is also responsible for the industrial strategy on IoT, steering, exploiting and reinforcing the Alliance for IoT Innovation (AIOTI). M. ROHEN received her scientific education in Germany (masters degree in computer science, a PHD in software and knowledge engineering). She worked as a researcher/ lecturer at the universities of Dortmund and Bonn and has a long experience in management of European projects in the fields of software technologies, micro-electronics, telecommunications and networking, ambient intelligence, embedded systems and digital public services (eGovernment). Member of the European Parliament since 2014, Vice-Chair of Delegation to the EU-Moldova Parliamentary Association Committee, Member of Committee on Civil Liberties, Justice and Home Affairs, Committee on Constitutional Affairs and Delegation to the Euronest Parliamentary Assembly, Substitute Member to Committee on Industry, Research and Energy and Delegation to the EU-Ukraine Parliamentary Association Committee. Michal Boni holds a PhD from the University of Warsaw where he lectured in the Department of Polish Culture for many years. Involved in the ‘Solidarity’ underground movement since 1980 and a member of the national authorities of ‘Solidarity’ since 1989, he became Chairman of the Mazowsze Region Management Board in 1990. He served as Minister of Labour and Social Policy in 1991 and from 1992 until 1993 as Secretary of State in the same ministry responsible for labour market policy. Between 1998 and 2001 he was the Chief Advisor to the Minister of Labour and Social Policy. From 2008 he served as Minister- Head of Strategic Advisors to the Prime Minister Donald Tusk and from 2011 until 2013 as Minister of Administration and Digitisation of Poland. In 2016 Michal Boni was awarded a MEP award in category research and innovation. Dr. Evangelos OUZOUNIS is the head of ENISA’s Secure Infrastructure and Services Unit. His unit manages ENISA’s contribution to the NIS Directive implementation and over the years has developed good practices for several Critical Information Infrastructures (e.g. telecoms, energy, aviation, health, finance and ICS SCADA). Dr Ouzounis manages within ENISA the area of IoT security and Smart Infrastructures. In that context, his team developed baseline security requirements for IoT and numerous good practices for smart cars, smart airports, and smart health. Finally, Dr. Ouzounis has developed, together with all EU Telecom Regulators (NRAs), the first ever pan European incident reporting mechanism for the telecom sector (article 13 a). Since then his unit has published several annual reports on root causes of reported incidents affecting the telecom sector. (Berlin, Germany). In that context he has managed more than 15 international R&D projects (e.g. 3G, intelligent networks), served for the EU Commission as evaluator of EU funded projects and chaired numerous international recognised academic conferences. Dr. Ouzounis holds a Ph.D from the Technical University of Berlin on the Resilience and Security of Distributed systems and a Master in Computer Engineering from the Technical University of Patras, Greece. Jeremy Rollison is Director of EU Government Affairs within Microsoft’s Corporate, External, & Legal Affairs (CELA) group. Based in Brussels, his work focuses on policy related to the EU Digital Single Market (DSM), with a particular emphasis on data issues and corresponding public policy covering privacy, cybersecurity, cloud policy, and the cross-border provision of online services. Prior to joining Microsoft, he worked in the Government Relations team at Nokia in the company’s EU representative office, and was previously Director of the European Digital Media Association (EDiMA) in Brussels. He has over a decade of experience in Brussels at the company, association, and consultancy levels, focusing and engaging with EU stakeholders on issues related to the development and delivery of online services in the Internal Market and corresponding EU regulatory policy. Unit where she was dealing with the Ecodesign and Energy labelling Directives, the Construction Products Regulation and competitiveness aspects of environment, energy and climate policies. Since joining the Commission in 1996, Kirsi has worked for several years on SME policy. Her work experience before the Commission includes the banking sector and the paper industry. Kirsi holds a Master of Science degree in Economics from the Helsinki School of Economics and Business Administration. Assia Bahri is responsible for the spectrum and regulations aspects of the Sigfox worldwide deployment. Before her current position, Ms. Bahri worked in the Mobile and Innovation department of the French Telecom Regulator (Arcep) where she contributed to the definition of the wireless regulatory framework in France. Prior to joining Arcep, Assia Bahri has started her Engineering career at SES SA in Luxembourg. Assia Bahri is graduated in telecom engineering (MS) from the Telecom Sud-Paris, France. Karolina Mojzesowicz studied law in Poland, Germany and the Netherlands. She obtained her PhD in Germany in 2001. After an internship at the European Court of Justice, she joined the European Commission's Legal Service. Her main areas of competence are Competition Law and Data Protection Law. She has represented the Commission in numerous cases before the European Courts and before the WTO panels and Appellate Bodies in Geneva. Since December 2014 she is acting as Head of Data Protection Reform sector within DG Justice at the European Commission. Bio to appear here shortly. Peter Boras is an Executive with corporate, entrepreneurship and global start-up experience with proven track record on international and global level bringing “game-changer” added value to corporations in innovations and revenues. He held top management positions in software, hardware and telecommunication industries in USA and EU markets. Strong team player, goal over-achiever pursuing company’s growth, development, strategic positioning and execution in a new era of technology transformation called Internet of Things, M2M or Industry 4.0. Forbes Tech contributor and Tutor at MIT for Industrial IoT and Industry 4.0. 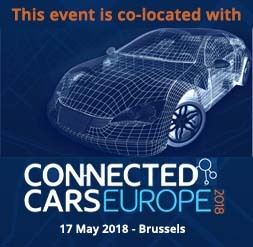 Horst Krämer is Programme Officer EU Policies at the European Commission's Directorate General for Communications Networks, Content and Technology (DG CONNECT). His portfolio includes the digital innovation in health and care, the Silver Economy, Age-Friendly Smart Living Environments, eHealth and mHealth as well as research and innovation projects and topic coordination in the Horizon 2020 framework programme. He is the Commission's correspondent for the Joint Programming Initiative "More Years, Better Lives" and for Action Group on Age-friendly Buildings, Cities and Environments in the European Innovation Partnership on Active and Healthy Ageing. Before joining the Commission, Mr Krämer worked as an editor, project manager and account manager in the field of public affairs, digital communication and e-Government. He holds Masters Degrees from the Universities of Bath (Contemporary European Studies) and the University of Frankfurt (Cultural Anthropology, Business and Linguistics). Dr Juha Heikkilä joined the European Commission in 1998 and currently works in its Directorate-General for Communications Networks, Content and Technology (DG Connect). Since 2014 he has been the Head of the Robotics and Artificial Intelligence unit, which is in charge of the Commission activities in these technologies in their various aspects. Philippe Lefebvre is Head of Sector for 5G deployment strategy in the European Commission's DG CONNECT (Directorate-General for Communications Networks, Content and Technology), responsible for policy and economic aspects of the future deployment of 5G services, and the "5G Action Plan for Europe". Before his current position, Mr. Lefebvre worked in the EU spectrum policy unit and several other Commission's departments including electronic commerce and financial technologies. Prior to joining the European Commission, Philippe Lefebvre held middle management positions in the Belgian’s Generale Bank (1983-1986), MasterCard Europe - (1987-1991), and with Visa International in the US (1992-1995). Philippe Lefebvre is graduated in electrical & mechanical engineering (MS) from the Brussels University and in economics (MBA) from the same university. Michela Palladino is the Director, European Policy and Government Relations, at the Developers Alliance, the world’s leading advocate for software developers and the companies invested in their success. Michela runs the Alliance’s Brussels office and is responsible for bringing the voice of the developers’ community to the EU Institutions in order to support the industry’s continued growth, and promote innovation. An Italian native, Michela has worked in EU Public Policy for almost 10 years. Before joining the Alliance in May 2017, Michela worked for six years at the GSMA, the trade association that represents the worldwide mobile communications industry. Prior to that she worked for the Italian Permanent Representation to the EU, the Italian Ministry for Foreign Affairs and the European Parliament. Michela holds a Master’s degree in International Relations from the University of Bologna, Italy. Alexandru But is an engineer and entrepreneur from Romania. Together with Andrei Brumboiu he started BrainyAnt in 2017, a company that deals with the development of consumer targeted telerobotics systems. This is the area of robotics concerned with the control of semi-autonomous robots from a distance, in this case from any secure internet connection. Before starting this project Alexandru has work in the embedded industry for 5 years, covering a large set of technologies, with a big focus on deterministic systems and networking. In his spare time, he is working as a trainer, teaches robotics for children and does life coaching for young students. Lisa Lang is a digital information technology and new media game changer. She has worked for big international technology organizations like Campus Party, Smashing Magazine ,SitePoint and Twilio (a Silicon Valley unicorn), and has extensive experience as a team and business leader. Lisa has been named one of the top 100 most influential people in wearable tech worldwide, 25 leaders in fashion and technology worldwide, 50 most important women for innovation & startups in the EU. Lisa was raised in a German craftsman family, studied Arts, New Media, Software Engineering as well as International Business Management and Innovation. Having lived and worked around the world, she developed a superpower: Lisa brings people together to create new, innovative, and beautiful products. Since 2012, Lisa has volunteered for the Berlin Geekettes (Women in Technology) as evangelista, managing events (Europes biggest female hackathon sponsored by Coca Cola) and mentoring young women in technology in business leadership (Google mentorship program). She continues to mentor at programs like Techstars and Startupbootcamp, and has developed education concept for FashionTech for Fablabs, Esmod Fashion university and Goethe Institute. In 2016, she was appointed as the expert mentor for FashionTech for the German Fashion Council Scholarship Program for H&M. Lisa Lang is a seasoned business developer, having founded six different FashionTech companies in the last four years and turned them into thriving businesses. She’s dedicated to establish a European fashion tech network to support innovation but also manufacture and scale sustainable products. She’s a part of the Fraunhofer Institute and DIN house network where she’s working on standardising processes for FashionTech manufacturing. Since October 2012, Ms Buscke is Head of the EU liaison office in Brussels of the Federation of German Consumer Organisations Verbraucherzentrale Bundesverband – vzbv - and coordinates the organisation’s EU work. This ranges from consumer rights, financial services, energy all the way through to food and mobility – but with a strong focus on the digital economy. Ms Buscke sits on the board of BEUC (the European Consumer Organisation) and is the German member of the European Consumer Consultative Group (ECCG) with the European Commission. In addition, she is a 2018 fellow of the Transatlantic Digital Debates programme. A German, French and Belgian national, Ms Buscke holds a Master's degree in Political Science and French philology from the University of Freiburg im Breisgau, Germany. Before joining vzbv in 2012, Ms Buscke worked for different Public Affairs consultancies focussing on energy and digital policy and led cross-border activities in the construction and energy performance contracting business. Lars holds a Masters in Political Science from Berlin Free University and started his career as a policy advisor in the German Parliament. Today, he is Senior Director for Government Affairs and Policy for Siemens Healthineers AG based in Brussels and covers a broad range of topics from product regulation via environmental dossiers to digital (health) policies. In addition to that, the Healthineers team in Brussels also drives market access and reimbursement projects in Western Europe and Western Africa. Before he joined Siemens in 2013 – at that time based in Berlin – he worked in several consultancies in PR, PA, but also advertisement and event. Lars has over a decade of experience in healthcare and medical devices policies, both at a national and European level. Piret Hirv, MA is working as a health technology division manager at the Science Park Tehnopol bringing together networks, which allows companies to find a suitable development partners and customers, developing healthcare services through the implementation of connected health solutions. Damir started his career in public sector, in the Ministry of Communication, Post and Telecom Administration in Croatia, where he started in 1998, continuing in National Regulatory Authority in telecommunications, as advisor in telecommunications and radiocommunications as well as in licencing department. Afterwards between 2000 and 2008, he started successful career in private telecommunications operators, subsidiaries of Deutsche Telekom and Telekom Austria in Croatia, working on various positions within network planning department, public and regulatory affairs as well as in wholesale business activities, as head of those departments. In 2008, Damir joined Telekom Austria Representative Office in Bruxelles, taking care for spectrum issues, environment, health and m-commerce issues on behalf of the Group, together with activities related to providing support to South-East Europe operations in Croatia, Macedonia and Serbia, internally and towards European institutions. In 2010 Damir became Director Public Affairs of DIGITALEUROPE, the European Industry Association that is the voice of the Information and Communications Technology and Consumer Electronics industries in Europe, which he joins from his private consultancy Intelligent Consulting, where he provided support both to governmental and private sector in telecom industry on various regulatory issues, as well as provide expert information and advice on issues related on EU legislation, institution and political process. In January 2012, Damir has joined newly formed Samsung EU Affairs office in Bruxelles, as EU Technology and Regulatory Policy manager, responsible for issues related to digital economy and product and technology. As of January 2016, Damir re-joined DIGITALEUROPE as Director for Digital Economy. Has been developing his career at the commission where he holds the position of Senior Policy Official. At the European commission Massimiliano has primarily been working in the Research, Development and Innovation policy and programming. He was among the founders of the Value and Innovation programs in Luxembourg, responsible for a strand of the Industrial Technologies Program Brite Euram, notably on lean production and automation. Massimiliano also worked at head of the Joint research Center (JRC) central planning office in Ispra and later as responsible for the Bio-economy observatory. Since 2015 he joined DG Connect and he is currently responsible for the Open Disruptive Innovation and digital entrepreneurship in the SME Instrument, as well as responsible for the Deep Tech Initiative of Startup Europe. Massimiliano is Italian by birth and holds an Economics BS degree from Northwestern University in Evanston, Illinois and an MBA from IESE Business School in Barcelona, Spain. Loïc Rivière is CEO of TECH IN France (Ex AFDEL - French Association of Software Editors) since its creation in 2005. TECH IN France gathers 350 software & internet platform companies in France. Loïc Rivière was vice-president of Strategic Committee of digital sector (CSF num) from 2013 to 2016 and member of the Council National Industry until its redesign in November 2017. Loïc Rivière began his career at the Government Information Service (SIG) before embracing the career of a journalist, then to participate in the creation of the trade association. Graduate of the Institute of Political Studies of Paris (Sciences-po), he also holds a 3rd cycle in Political Sciences and a degree in Philosophy. François is an accomplished environmental business-leader with a proven track record in leading teams in the delivery of sustainable solutions to global energy & climate problems across multiple sectors and industries. François has served as Energy and Climate advisor to Minister of Ecology (France) and Former Vice President at Capgemini. Bio to be added shortly. David Martin Ruiz is a Senior Legal Officer at BEUC, the European Consumer Organisation. BEUC represents 41 independent national consumer associations from 31 European countries. David is part of BEUC’s Digital Team, where he focuses on privacy, data protection, copyright and competition. He has been working on digital and ICT issues since 2006. Prior to joining BEUC in May 2015, David worked at the Public Affairs consultancy Burson-Marsteller and the EU Regional Office of Murcia in Brussels. A Spanish national, David studied Law at the University of Murcia (Spain) and holds Master’s Degree in European Law from the University of Luxembourg, as well as a Postgraduate Degree on Economic and Legal EU Studies from the Collège Miguel Servet / Université Paris I Panthéon-Sorbonne. Željko Pazin is the Executive Director of the European Factories of the Future Research Association (EFFRA) and Director at the European Engineering Association ORGALIME. EFFRA is an industry driven-association, promoting the development of innovative manufacturing technologies through the European Union’s ‘Factories of the Future’ Public-Private Partnership, an initiative jointly set up by the European Commission and EFFRA. Željko Pazin is also Director at the Orgalime, the association representing Europe´s Technology Industries. He is in charge of Research and Innovation, International Trade and Legal Affairs. He previously worked at the European Commission, at a Chamber of Commerce and at a University Economic Policy Department. Lise is ETNO’s Director General since January 2016. At ETNO, she leads and oversees all the activities and she is the main external representative of the Association. On behalf of the Association, she is also a Board and an Administrative Committee member in ECSO, the European Cybersecurity Organisation. Lise has also been appointed to the Internet Society Public Interest Registry Board of Directors for a three year term as of July 2016. Prior to joining ETNO, she was Chief Operating Officer of DK Hostmaster and DIFO, the company managing the .dk domain name. In the period between September 2014 and December 2015 she also chaired the Cross Community Working Group for the IANA Stewardship Transition, building on her strong network within the internet community. Lise has 10+ years of experience in the telecoms industry. She started her career at the Danish Ministry of Science, Technology & Innovation (1996-2000) where she wrote and implemented regulation for the telecommunication markets. After that, she worked for the telecoms operator Telia Networks (2000-2009), where she led various teams dealing with issues as diverse as interconnection agreements, mobile services and industry cooperation. Elena Scaramuzzi has over 25 years experience in telecoms regulation. She currently leads Cullen International’s Americas Telecommunications, Media and Digital Economy services, covering regulatory research for both Latin America and North America. Elena travels frequently to the Americas region to meet telecoms and television providers, regulators and government ministries. Prior to her collaboration with Cullen International, Elena worked as a regulatory advisor at Telecom Italia, covering the company's international activities in Latin America and Europe, and, prior to that, at the World Bank in Washington DC. Stefano is Policy Director in the Technology Policy group at GSMA. Stefano works closely with member companies and ecosystem stakeholders with a particular focus on IoT policy and regulation. Fulvio Sansone has more than twenty years experience in the information and communications technologies, satellite communications, positioning, and location-based services. Fulvio is one of the owners and Chief Technology Officer at SatADSL, offering satellite broadband services in Sub-Saharan Africa. He also serves as Senior Advisor for ESOA. In the past Fulvio worked at Oracle Corporation, SAIT-RadioHolland and served as the first Secretary General of ESOA. Fulvio got his degree in Electrical Engineering at the University of Naples and a MBA from CUOA. He speaks fluent Italian, English, French and Spanish. Our CTO built the first Unmanned drone pontoon remotely controlled from a master vessel via wireless communication, over a distance of multiple kilometres. The pontoon is now seen as the Swiss army knife of the maritime construction world and has a big impact on the design and exploitation of future projects. Kim, 34, has more than 10 years experience in drones, navigation software, automation, integration, UI and data. He has designed and engineered an unmanned drone ship and control system over WIFI with more than 10km range – a world first and only. Kim holds both a Masters and a Bachelor in Electromechanical Engineering. Like you, Andreas has witnessed over many years the transformative forces of digital technologies on businesses, industries and society. This impact triggers important questions. How fast and deep will cloud computing impact existing business models? What are the core elements of digital transformation per industry? How to leverage the power of AI for improving healthcare best? Will blockchain transform the financial sector? Implementing modern data protection laws like GDPR not only for compliance, but for competitive advantage? What is the proper ethical framework for machine learning? What are the pillars of the EU Digital Single Market? During transformative times like today, these and similar questions need to be addressed, while leveraging the inherent benefits of the rapidly progressing digital revolution. This progress needs to be in line with the requirements of the respective markets, national regulations, as well as respecting the values and rights of people when using trusted digital technologies. Over a period of 14 years, Andreas participated in his capacity as Technology Officer in many projects and discussions, advising senior stakeholders in business, government and academia in the EU. Themes ranged from the impact of Open Source, intellectual property rights, national interoperability frameworks, standardization strategies, productivity dimensions, digital transformation(s), economics of hyperscale cloud computing, economics of compliancy, options for risk modeling, evolution of artificial intelligence, ethics & machine learning and the socio-economic impact of technology on society. During the last 27 years, Andreas served in various roles in Microsoft. He was responsible for building the Microsoft consulting organization in Austria, led the enterprise sales unit, had the privilege to lead the Austrian subsidiary as country manager and transitioned 2004 to the newly established role as National Technology Officer. Andreas lives in Vienna, Austria, has 2 curious children attending university, one cute & playful dog and a wonderful wife allowing him to travel frequently to experience the global diversity of the world. He is a graduate of the Technical University in Vienna, with a degree in business administration and computer science. Yves has been working in the policy fields to foster the uptake of digital technologies since the Digital Agenda for Europe in 2010 and is now driving the Digitising European Industry initiative as Head of Sector for its governance, in DG CONNECT (European Commission). An engineer graduated in microelectronics and in computer science from the Polytechnic School of Louvain, he joined the European Commission as a scientific officer for R&I projects dealing with health informatics, later with network security and dependability. Prior to this, he led, among others, distributed systems and security projects at the Open Software Foundation Research Institute. Dan Caprio is an internationally recognized expert on privacy and cybersecurity. He has served as the Chief Privacy Officer and Deputy Assistant Secretary at the Commerce Department, a transatlantic subject matter for the European Commission's Internet of Things formal expert group, a Chief of Staff at the Federal Trade Commission and a member of the Department of Homeland Security Data Privacy and Integrity Advisory Committee. In 2002, Dan represented the United States revising the OECD Security Guidelines that formed the basis for the first White House Strategy to Secure Cyberspace. Paul Adamson is chairman of Forum Europe and founder and editor of E!Sharp, an online magazine dedicated to covering the European Union and Europe's place in the world. He is a member of the Centre for European Reform’s advisory board, Rand Europe's Council of Advisors and the external advisory board of YouGov-Cambridge, a polling think-tank. He is a member of the board of advisors of the European Institute in Washington DC, the advisory board of the Washington European Society and the advisory committee of the EU chapter of Women in International Security (WiiS). Paul is a Visiting Professor at the Policy Institute, King’s College London, a patron of the University Association of Contemporary European Studies (UACES) and a Fellow of the UK Academy of Social Sciences. He founded the consulting firm Adamson Associates, which was sold to Weber Shandwick and The Centre, which was later sold to Edelman. In 2012, Paul was made an Officer of the Order of the British Empire (OBE) "for services to promoting understanding of the European Union”, a part of the Queen's 2012 New Year Honours Diplomatic Service and Overseas List. In 2016 he was made a Chevalier in the Ordre national du Mérite by the French government. Tobias is a restless resident of different worlds: A medical doctor by training, a health economist and jurist by education, a philosophy aficionado by academic passion and curious by default. He has worked in a number of leading positions in hospital patient care and major industry companies such as Siemens (Consulting), Novartis (Strategy and Health Economy/Health Policy), Bayer Healthcare (Head Market Access) and Johnson&Johnson (Director Market Access and Health Economics). Subsequently he followed his bliss and founded the ‘HealthCare Futurists’. The HealthCare Futurists (HCFs) are an international and independent network, think-tank, make-tank, incubator, catalyst and consulting hub for innovation in healthcare, life sciences and medicine. Their mission is to collaboratively challenge the status quo and passionately push the limits of current thinking and practice in healthcare. We are renowned experts and thriving professionals of diverse disciplines, all related with healthcare. We share a persistent passion for patient-centric, client-centric and customer-centric innovation and consider ourselves to be Change Agents of Innovation and healthcare’s custom shop. Tobias holds a number of academic appointments e.g. at the Universities of Cologne and Duisburg and is a sought after speaker in topics related to the future of healthcare, medicine and life-sciences. He is strategic advisor to the European Connected Health Alliance and to the European Institute of Technlogy (EIT) Health and is part of SCIANA, the Health Leaders Network funded by the Robert-Bosch and Careum Foundation. He is the director of the European Center for Patient Centric Innovation and Medical Entrepreneurship located at the WHO University at Maastricht and affiliated with the European Business School Oestrich-Winkel. Prior to joining the Global Digital Foundation, Paul was Head of European policy at the Center for Data Innovation in Brussels. Prior to that he spent 12 years at Insurance Ireland, the insurance industry trade association, in Dublin and Brussels and managed the industry's response to policy, legislative and regulatory development. Paul began his career with Hill & Knowlton’s government affairs division in London where he provided advice to a number of Fortune 500 companies. In 2001 he co-founded an economic policy forum in Dublin, Open Republic, which, as well as hosting events aimed at policy-makers and politicians on such issues as pensions, taxation and the EU, was the Irish publisher of the Economic Freedom of the World Report. Paul has extensive broadcast and print media experience, and he holds a degree in Medieval English literature and philosophy from Trinity College Dublin and an MBA from University College Dublin. Dr. Keshav Chintamani is a senior researcher in Robotics and AI at IMEC’s IDLab group, where 300 researchers are working on a range of topics from low-power dense sensor networks to the Internet of Robotic Things and Big Data Analytics. After 10 years in wearable computing and robotics projects in ESA and NASA's manned flight program, he now enjoys deep-diving into regional Industrial challenges, especially SMEs and establishing research partnerships for these companies to bootstrap their innovation capacity. He is setting up a new Industrial IoT test facility focused on indoor logistics and agile production at Ghent University to help companies evaluate the benefits of robotics, AI, cloud and wireless tech in their use cases.